Steamed buns are the most consumed food by the people from Northern China. 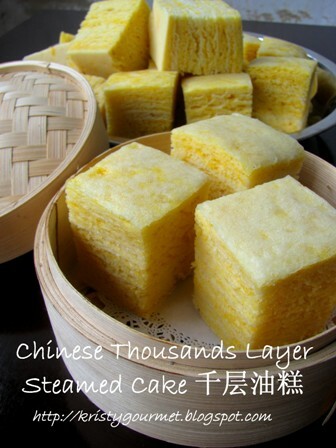 And one of the many famous steamed bun is Thousands Layer Steamed Cake, which animal lard & sugar are both used in the folding. This particular steamed bun is one of the specialty in China, but it is now available in Taiwan & Hong Kong too, at 鼎泰豐 Ding Tai Fung Restaurant. 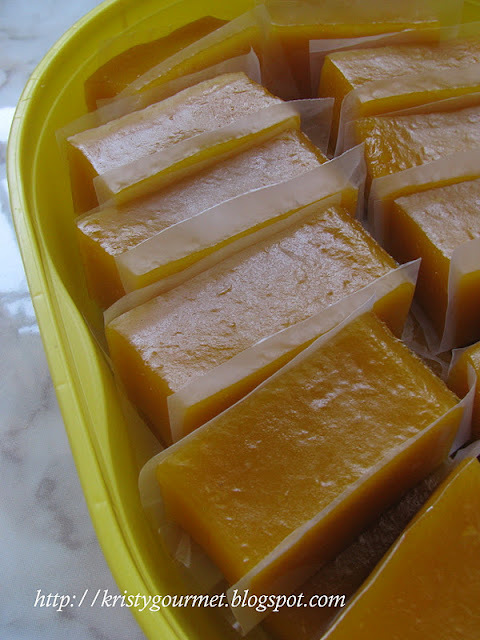 There's still plenty of specialty food to discover in China. Hopefully, more inspiration from there to keep me motivate ! 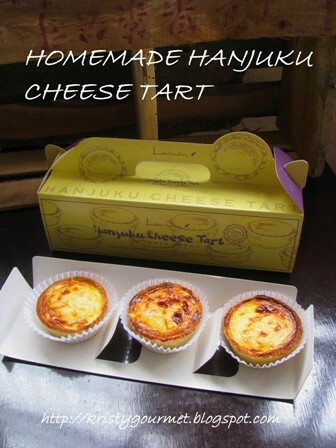 As for this recipe, I chose to prepare in a simple flavour which is hassle free. Please read on for more. 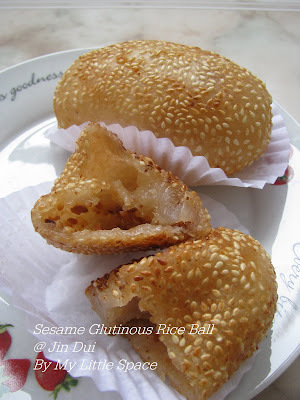 (1) to prepare bun dough, combine both flour, sugar & yeast into mixing bowl and mix well. (2) dissolved baking powder into water then stir into flour mixture, at the same time add in cooking oil. 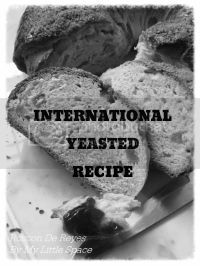 (3) stir mixture till soft dough is formed then add in shortening and continue kneading till smooth. (4) then let dough to rest for an hour or till double in size, make sure to cover dough with plastic wrap or damp towel. (5) once its ready, punch dough to release excess air and knead till smooth. 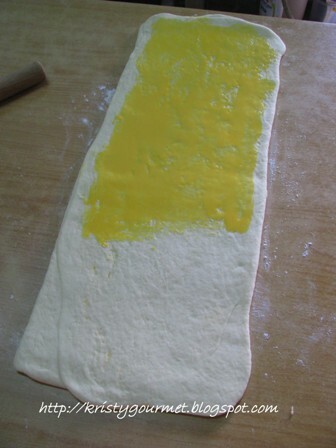 (6) place dough to slightly floured working table, then flatten it with a rolling pin into 36x12" sheet. 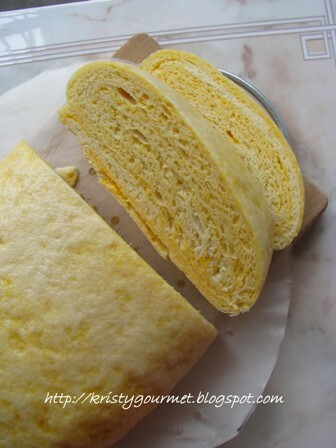 (7) spread custard paste onto 2/3 of the sheet and sprinkle on some sugar. 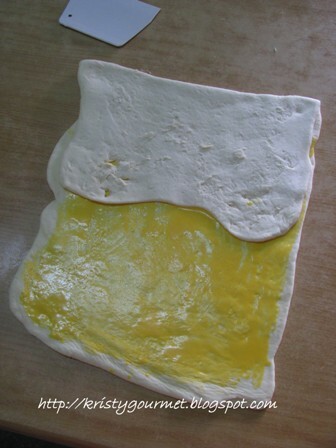 (8) next, fold dough into 3 layer folding then again flatten it with rolling pin into 36x12" sheet, as shown in pictures. 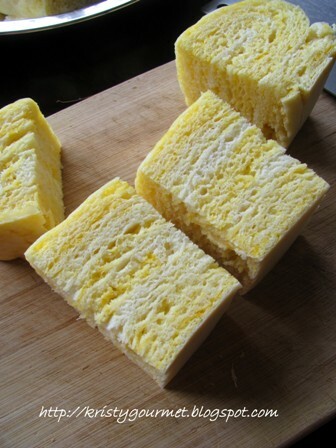 (9) again, spread remaining custard paste onto 2/3 of the sheet and sprinkle on some sugar. 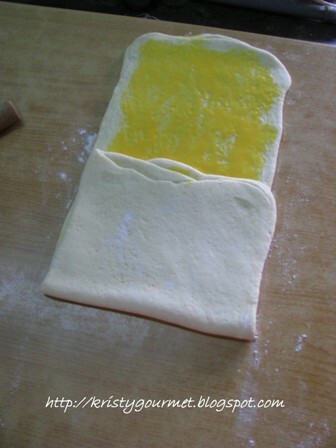 (10) again, fold dough into 3 layer folding and flatten it with rolling pin. Repeat the folding one more time. (11) then after the 3rd folding, flatten dough into 24x12" sheet on the 4th folding. 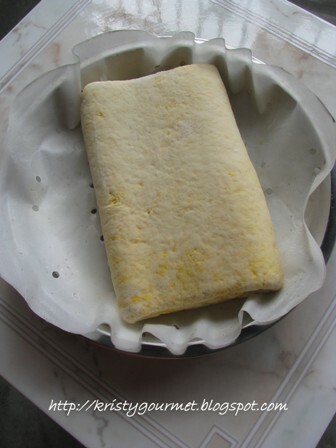 (12) now, make the final 3 layer folding then place folded dough onto a parchment paper or silicon sheet and let to rest for 30 minutes. 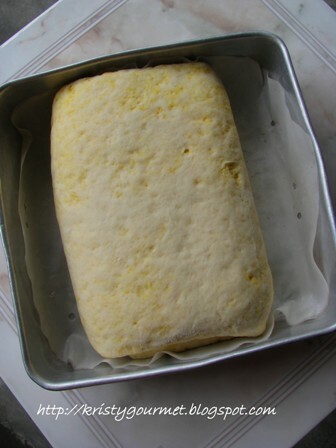 (13) once its ready, steam dough over a preheated steamer for 18 minutes on high heat. (14) when done, off the heat and let steamed bun rest for 5 minutes with lid on before serving. Finally, its all ready for slicing ! 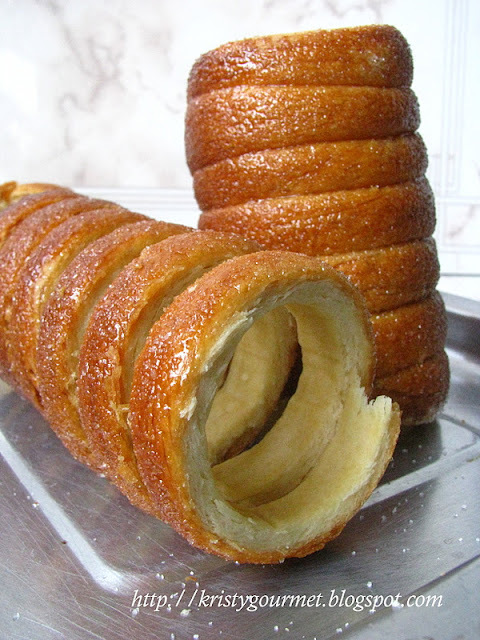 I still think it needs extra more butter for the layering process, so that the cake layer looks more attractive. Yeap, definitely need more improvement on this one. 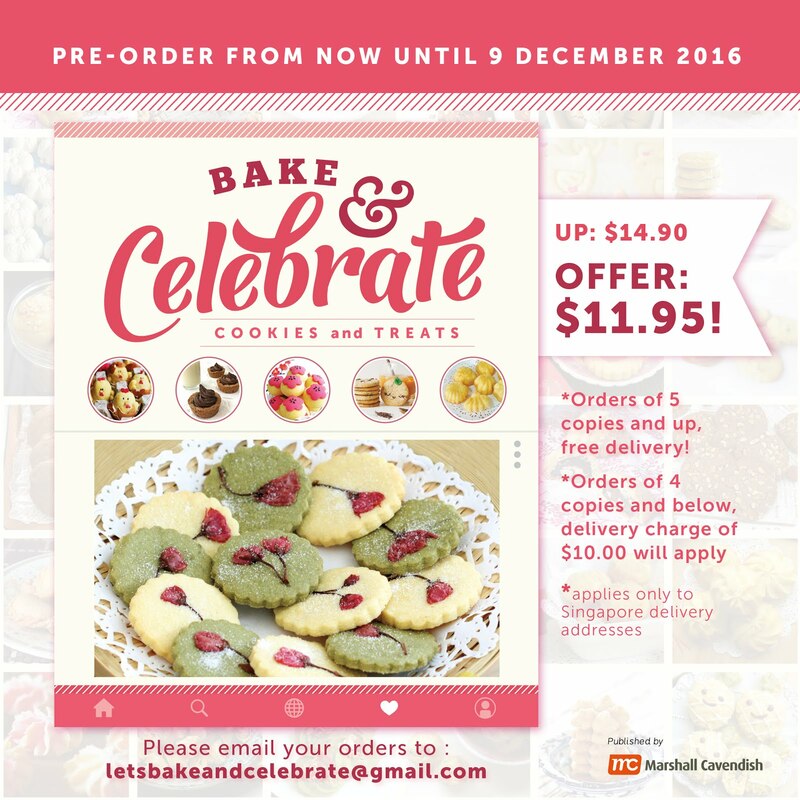 Anyway, hope you guys will love it too ! wow this looks beyond delicious and healthy too, Kristy. Kristy this looks absolutely delicious !! 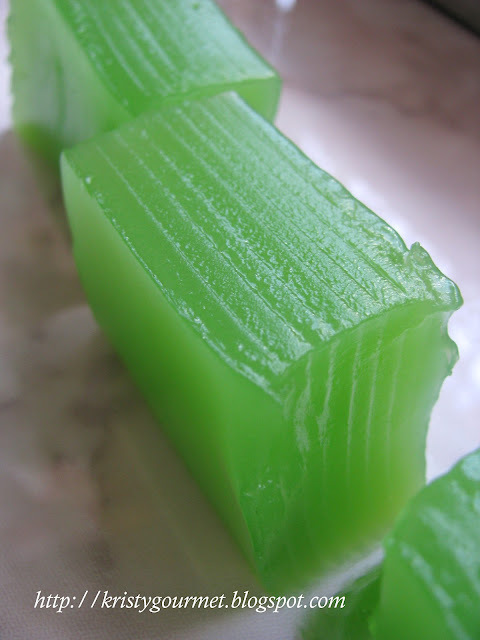 You may skip the shortening but you must replay back with either margarine or butter or maybe cooking oil. Otherwise, the dough became extremely dry and tough.